I filed bankruptcy in NJ; why isn't my credit report showing that I am making my mortgage payments on time? Why Don't They Report the Payments? They are fearful that any reporting on payment history implies that you still owe the debt, when you do not. The only exception to this is if you were to reaffirm the mortgage as part of your bankruptcy. 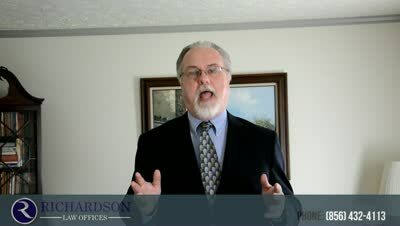 This removes the debt from the bankruptcy discharge, and it is not something I recommend to my clients, especially if they owe more than their home is worth. Reaffirming the Mortgage is Not the Answer! Many banks tell people to have their lawyer reopen their bankruptcy to reaffirm the debt to fix it, but the downside of this far outweighs the possible advantage to rehabilitating your credit score. There are other ways to do this, including your payment history on a reaffirmed car loan, car lease, or secured credit card. ?Proving the Undue Hardship of a Student Loan in Bankruptcy: What is a Good Faith Effort to Repay? ?Will I Lose My Security Clearance If I File Bankruptcy? ?How badly will my NJ bankruptcy affect my credit?